A toothache is a common symptom of a cavity. But not all toothaches are the result of infection or decay. Ironically, not all early-stage cavities cause pain either. If you are experiencing discomfort, visit your dentist. A professional evaluation is the best way to determine the cause of tooth pain. Is a Toothache Affecting Your Life? Toothaches range in severity. Some describe the pain as sharp and stabbing, and others describe it as dull and lingering. The type of pain does not necessarily dictate the source or cause of discomfort. No matter what, a toothache can affect your ability to eat food and drink beverages, sleep well at night, and focus on work, school, or daily activities. 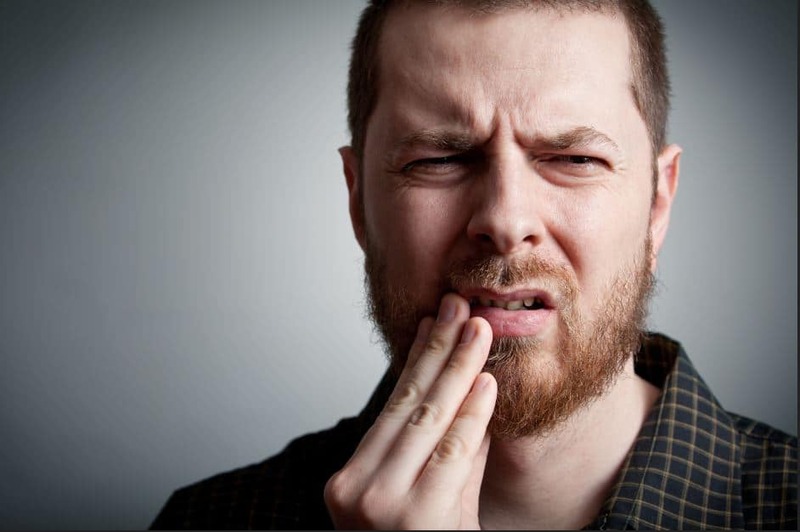 Believe it or not, a toothache does not necessarily mean there is something wrong with your tooth! The source of pain might be referred. When pain is referred, it means the pain originates elsewhere. It might mean that you have an irritated nerve connected to another area in your jaw, mouth, or head. Tooth sensitivity does not always indicate tooth decay, but it can. If your teeth hurt when exposed to hot or cold food, beverages, or air, they can be classified as sensitive. If the underlying condition causing discomfort is not a cavity, there are several methods for treating tooth sensitivity. While it can be difficult to smell your own breath, you probably know when it smells abnormally bad. If brushing your teeth and tongue does not alleviate the smell for more than a minute or two, it’s time to consider the source of the smell. Tooth decay involves bacteria, which smells terrible. Don’t ignore foul smelling breath. Early-stage tooth decay is practically impossible for a person to see in a mirror. In fact, it’s difficult for a dental health professional to detect small cavities without the help of dental x-rays. When decay advances, it eventually results in spots or holes that are visible to the human eye. If you notice an unusual spot or hole on your tooth, visit your dentist for an evaluation. Do you have a bad taste in your mouth that doesn’t go away no matter what you do? If you’ve tried repeatedly brushing, flossing, and rinsing with mouthwash – and nothing relieves the bad taste, the culprit might be tooth decay. Ignoring tooth pain rarely causes the soreness to disappear. If you have a toothache, give Washington Court House Dental a call and schedule an appointment. We are happy to look in your mouth and give our opinion on the underlying cause of your discomfort. We might discover that the source of your pain is a cavity. On the other hand, we might determine that your toothache is the result of an entirely different oral health problem. No matter the reason for your pain, it’s vital to seek a professional evaluation and treatment. When a problem is discovered early, it’s usually faster, simpler, and less expensive to treat.